The illegal wildlife trade is increasingly recognised as a form of transnational organised crime, generating billions of dollars in profits for smuggling syndicates. While cash transactions are common in some parts of the illicit supply chain, the bulk of this money is moved through the international banking system yet the deployment of anti-money laundering techniques to curb wildlife crime remains elusive. Last week, the Environmental Investigation Agency participated in an annual meeting of the Asia Pacific Group on Money Laundering, in Kathmandu, Nepal. The meeting marked the first time wildlife crime has been included on the agenda of the group, with more than 100 delegates from governments and the private sector spending three days discussing “Wildlife Crime Financial Flows”. At the meeting, EIA gave a presentation analysing illegal wildlife trade networks, including a case study of ivory trafficking from Tanzania to China derived from the Vanishing Point report released last year. 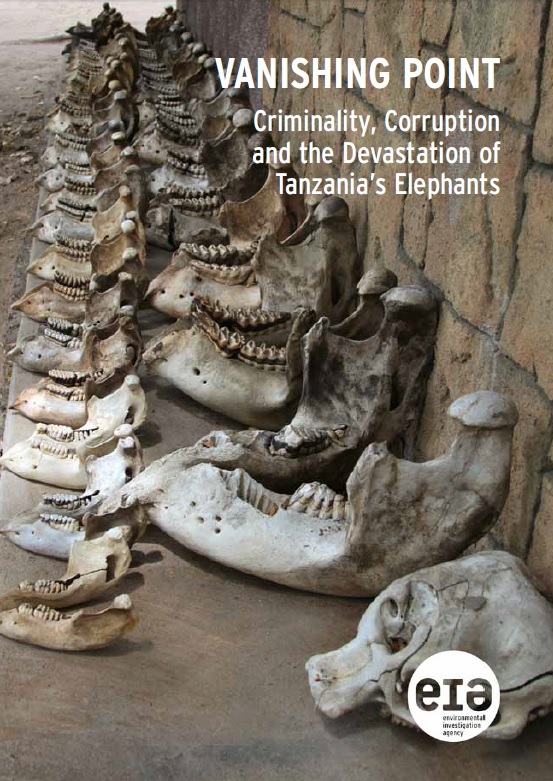 EIA’s research reveals that between 2009-14, approximately 40 tonnes of ivory originating from Tanzania was intercepted outside the country en route to the consumer market, with 22 tonnes seized inside the country. Based on a conservative figure of $2,100 per kilo for raw ivory tusks in China, the main destination, the 62 tonnes seized has an end market value of $130.2 million. It is inconceivable that such large amounts can be moved around in cash rather than through the banking system, but to date EIA is unaware of any anti-money laundering investigations occurring in relation to these seizures. One case in particular illustrates how opportunities to track the money flows associated with ivory seizures – and so to target the bosses of smuggling syndicates – are being squandered. 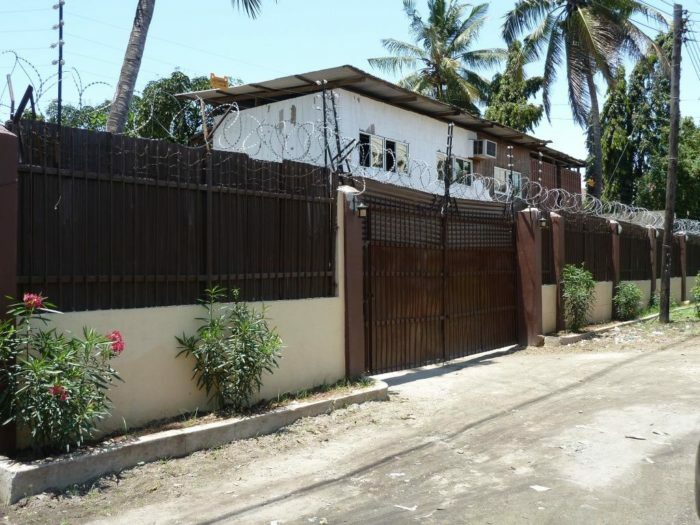 In November 2013, Tanzanian police raided a house in the upmarket Mikocheni area of Dar es Salaam, following a surveillance operation. At the location, three Chinese nationals were discovered packing 706 elephant tusks in preparation for export. Documents found at the scene indicated a similar shipment had already been despatched to the port of Zanzibar for export; inspection of a shipping container at the port uncovered a stash of 1,023 tusks. This was clearly the work of a major crime syndicate. Subsequent investigations revealed that a business, Evergo International, was being run from the Mikocheni house, ostensibly importing garlic and chemicals from China as a front for ivory smuggling. Documents showed substantial money flows between Evergo’s bank accounts in Tanzania and companies in Hong Kong and mainland China. But despite such strong evidence, nobody connected to the case has been charged with money laundering. Deng Jiyun, a Chinese national and director of Evergo, fled to China after the seizure and is currently on INTERPOL’s list of wanted persons. The usual perceived barriers exist to more effective deployment of anti-money laws against wildlife crimes; a lack of coordination between national enforcement agencies and international cooperation. During discussions at the Kathmandu meeting it emerged that these obstacles can be easily surmounted if the will is there. At the national level, a government’s Financial Intelligence Unit (FIU) should form part of multi-agency task forces charged with tackling wildlife crime; even a simple cooperation agreement between the FIU and agencies such as customs can be of use. At the international level, informal information sharing channels can be used in the early stages of an investigation, with more formal (and slower) Mutual Legal Assistance processes at later stage when a prosecution case is being prepared. If the will is there, the results can be startling. 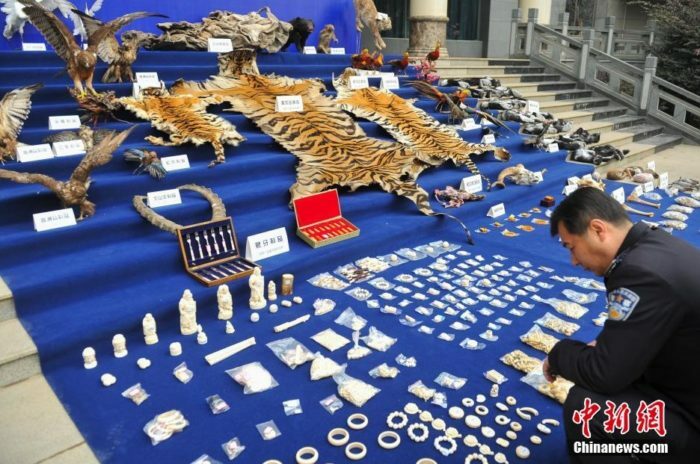 An investigation by Thailand’s Anti-Money Laundering Office in 2014 into a syndicate trafficking illegal wildlife, such as tigers and pangolins, and illicit rosewood resulted in the seizure of $37m in assets from the gang. One of the main clues in the investigation was the use of a zoo as a front operation, based in a remote part of Thailand where there are few tourists and so made no economic sense. While such successful cases are few and far between now, there are indications that countries identified as being at risk of wildlife crime could be compelled to utilise anti-money laundering measures to tackle the problem. In the next phase of evaluation of countries’ anti-money laundering systems, carried out under the auspices of the Financial Action Task Force, the emphasis will be on effectiveness in countering perceived risks. So nations where wildlife crime is prevalent will have to show how associated illicit financial flows are being tackled, through the number of cases, prosecutions and asset seizures. But there’s no need to wait. Time is running out for a host of species threatened by illegal trade – identifying and seizing the proceeds of wildlife crime is imperative to put the trafficking syndicates out of business.